Yesterday, we exclusively reported that Kevin Hunter, husband to the daytime talk show Queen Wendy Williams was still seeing his PREGNANT mistress — this is what sparked her “relapse”. Now Daily Mail has published photos of Kevin and Sharina Hudson (the mistress) lounging together poolside in Flordia while Wendy was in rehab. 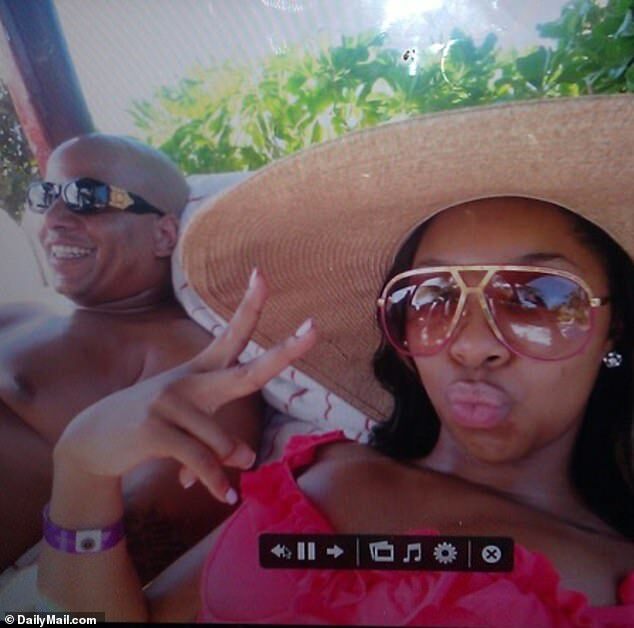 The photo shows Sharina brazenly taking a selfie with Kevin while wearing a bikini. Kevin can be seen smirking in the background. Sharina is living in a very nice apartment in Manhattan he pays for and he got her a studio in midtown for one of her many businesses that he supports. He put her through school to be a massage therapist, he opened a kiosk for her at a mall in North Carolina where she’s from. He helped her set up a jewelry and clothing line online called VISH. But none of her businesses have been a success. Really??? Tuesday morning, Wendy broke down into tears, confessing to concerned fans that she had “relapsed”. She has not yet addressed Kevin and his little side-chick. What do YOU think Wendy should do in this situation?